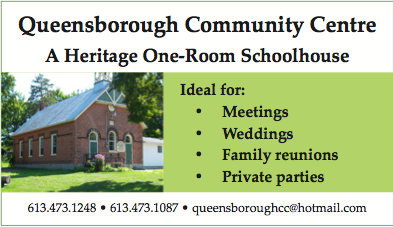 The Queensborough Community Centre is located in our old one-room schoolhouse build in 1903. This building acts as a centre for our small community. We also rent the centre out to groups. It is a great place for family parties, reunions and meetings. It will accommodate approximately 80 people. The daily rental fee is $75.